Brighten up your gifts and gift bags with bold splashes of tropical tissue paper. 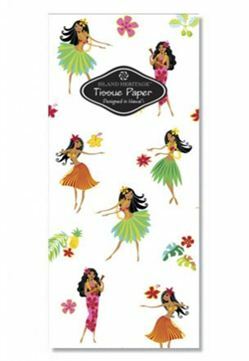 This Island Hula Honeys Tissue Paper coordinates beautifully with our Island Heritage gift bags and is sure to add plenty of aloha to your gift. Eight sheets per bag, 20" x 30".